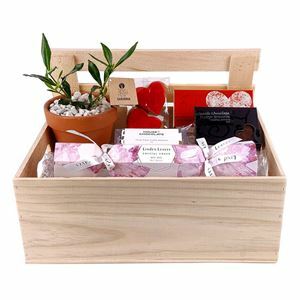 A fabulous gift that is perfect to send with love on any occasion. The beutiful little tree will flourish and give joy for years to come. The yummy treats may not last for long! The gorgeous Linden Leaves Bon Bon is filled with stunning beauty products. Such luxury!